In this blog post, we are going to list some of our best selections from our copper sinks category to help you choose the best we have. 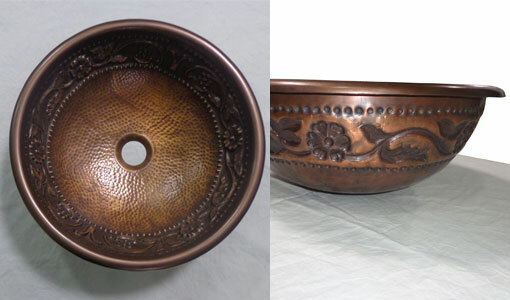 Copper Sink Embossed Hammered is a round copper sink that features an engraved sunflower design on the exterior. The sink has hammered inner surface which further enhances the look of this pure copper round sink. The sink is made of 16 gauge pure durable copper metal sheet. 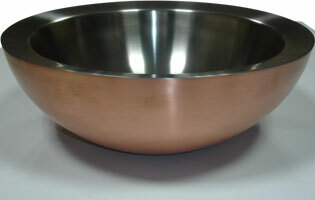 This copper sink has a diameter of 16 inches and depth of 6 inches. Ideal for vanities and drawing rooms. Copper Sink Hammered Copper Outside Nickel Inside is a beautiful copper sink with hammered copper exterior and Nickel interior. The sink is made of 16 gauge pure durable copper sheet. 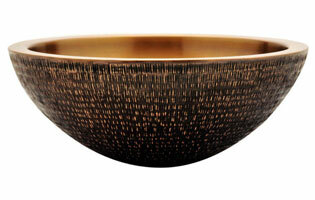 It has hammered exterior surface and beautiful lustrous interior smooth nickel finish. With 16 inches diameter and depth of 16 inches, this copper sink is a masterpiece that is sure to uplift the decor quotient of your home. 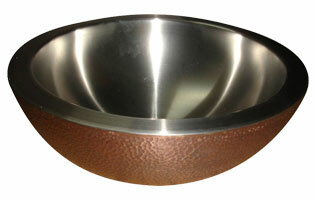 Dark Antique Copper Sink is a round copper sink that comes two finishes: dark antique & medium antique. Made of 16 gauge pure copper sheet, this sink has a double wall design for extra sturdiness and aesthetics. The diameter of the sink is 16 inches and depth is 6 inches. With its antimicrobial properties, the sink is good for vanities, drawing rooms, kitchen handwash area and where ever you would like to have a sink at your home. Double Wall Sink Copper Outside Steel Inside is a round double wall copper sink with smooth copper finish exterior surface & steel interior surface. The sink has a diameter of 16 inches and depth of 6 inches. The smooth round surfaces of the sink make it touch worthy and a decor essential for any modern home. Install this copper sink at your home and make your guests praise you for your design sense. Copper Sink Double wall Embossing Outside Inside Plain is a round copper sinks with beatutiful embossed design on its exterior surface. The sink is made of 16 gauge pure copper sheet. 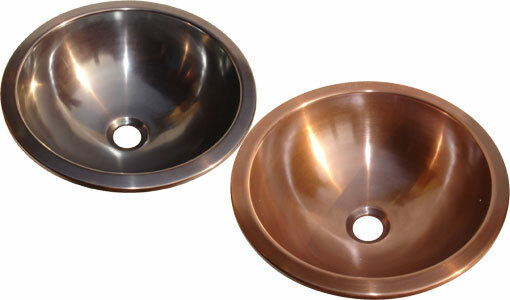 This double wall copper sink has a diameter of 16 inches and depth of 6 inches. The sink is hand waxed for easy maintenance. Available in Medium Antique and Light Antique finish. Great decor and utility product for your vanities and bathrooms if you are looking for some ornamental style and theme. Copper Sink Double Walled Rice Hammered Outside is a unique copper sink with rice-hammered exterior surface and smooth interior surface. Made of 16 gauge pure copper sheet with the diameter of 14 inches and depth of 5 inches, this sink is available in medium antique and light antique finish. This is one of the most popular sink and high in demand. After checking out a few of the blog posts on your site, I seriously like your way of writing a blog. I saved as a favorite it to my bookmark site list and will be checking back soon. Please check out my website as well and tell me how you feel. It’s not my first time to pay a quick visit this website, i am visiting this web page dailly and obtain good information from here every day. Woah! I’m really loving the template/theme of this site. It’s simple, yet effective. A lot of times it’s tough to get that “perfect balance” between usability and visual appeal. I must say you have done a great job with this. In addition, the blog loads super quick for me on Opera. Outstanding Blog! My brother recommended I might like this blog. He was entirely right. This post truly made my day. You can not imagine simply how much time I had spent for this information! 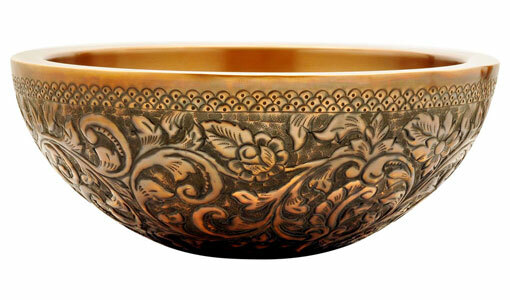 Information given on copper,copper bathtubs,copper tubs,copper sinks,copper kitchen sinks & copper handicrafts is very useful. Thanks! I’m extremely impressed with your writing skills and also with the layout on your blog. Is this a paid theme or did you customize it yourself? Anyway keep up the nice quality writing, it is rare to see a great blog like this one these days. Your blog is amazing dude. i love to visit it everyday. very nice layout and content . Amazing information about Copper Bathtubs & Copper Sinks. I’d love to be a part of group where I can get advice from other experienced people that share the same interest i.e Copper Tubs,Copper Bathtubs & Copper Sinks. If you have any recommendations, please let me know. Thank you.